Are you in need of tile and grout cleaning services? Vanish Cleaning Services Sunshine Coast will provide you with same day professional tile and grout cleaning services. As our client, you will be entitled to expert services offered reasonably at the lowest price rates available in Sunshine Coast. Our highly trained team of experts works over all the weekends if required. You should not hesitate to call for a free quote. The third step revolves around cleaning of the grouts in all corners and also edges, Vanish Cleaning Services Sunshine Coast certified cleaner uses a special grout cleaning brush in this procedure. Our certified cleaner makes sure that all rooms are thoroughly cleaned. At Vanish Cleaning Services Sunshine Coast we are known for applying high value type of sealing products that usually end up protecting the floor for longer periods of time thus helping you to routinely maintain the tiled floor without any hassle. Vanish Cleaning Services Sunshine Coast tiles and grouts cleaning clientele include business and domestic clients found within Sunshine Coast and its environs. Most prominent property and estate agents are also among our usual clients for all tile and grout cleaning needs that they have. 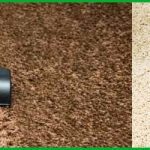 Vanish Cleaning Services Sunshine Coast has a highly dedicated energetic professional team known for the provision of expert services to all clients in Sunshine Coast. We passionately work towards the attainment of a 100% satisfaction guarantee and are available for emergency if required 24/7.